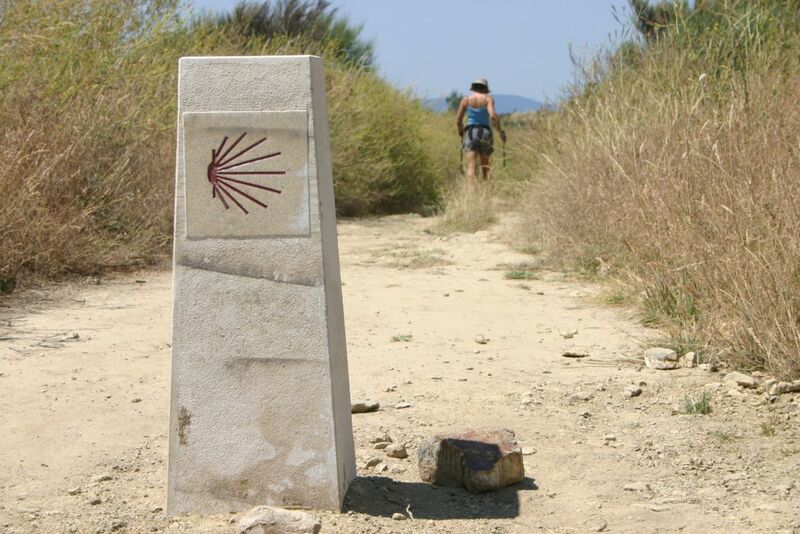 Overview: Just a “Taste” of the Camino – Walk the last 100 kilometers of the Camino de Santiago. A pilgrim undertakes this journey across Spain to follow the footsteps of monarchs, noblemen, writers and poets, and to journey with so many other pilgrims from all over the world. Our guided hike along the Camino de Santiago, Europe’s legendary pilgrimage, takes us through the Spanish countryside, showing us its people, its culture, its past and present until we reach Santiago de Compostela the ultimate destination. Our tour along St. James Way is of the highest quality. That is because we’ve been making this journey since 1994. We personally know each hotel, family run Inn, and restaurant owner. More importantly, we maintain the integrity of the Camino de Santiago. Come walk across Spain with the company that helped pave the way, let us show you the Camino de Santiago; the way it should be seen….up close and personal. Arrival in the beautiful city of León, once the capital of the ancient Kingdom. You will be greeted by your Spain Adventures specialists and after a brief presentation of the days to come, the adventure begins. We pick up our credentials which will log our footsteps along the Camino and later this evening we gather for our welcome dinner. With scallop shells on, backpack on our backs we get our first glimpses of the green Galician countryside. Our walk begins in the Bierzo and we make our way up to a beautiful little hamlet of Celtic houses and a church which houses the Chalice of a 14th century legendary Miracle. The scenery today will take your breath away and we’re all warmed up for our first full walk tomorrow. Our day starts with a steady climb to the Alto do Poio, the highest point of the Camino de Santiago in Galicia. After a stamp and a coffee, we start our descent down to the town of Triacastela, named after the three castles that once stood watch over the village. Our destination is a town rebuilt stone by stone exactly as it was in 993A.D. Today the roads will take us through lush green forests and primitive farms still worked as they were a thousand years ago. Tonight, we dine with our friend and host watch wide-eyed as he offers his special queimada a tradition of Galicia, which conjures up tales of witches and spirits. Our journey to Palas del Rei is marked by cruceiros and many historical remnants along the way. This area is one of the most important to art historians throughout the world because of its abundance of Romanesque architecture. Our shuttle awaits to take us to our accommodations for this evening, a traditional, magical manner house owned by the same family for 300 years. Prepare to dine as Kings and Queens. The first stretch of your walk today is dotted with small hamlets hidden among the eucalyptus trees all within a short distance from one another. We’re almost to Santiago and there is no need to rush and so today we walk to Arca and return to our manor house at the end of the day. Today we begin our final walk to reach our destination. We start where we left off yesterday and an exciting day awaits us. Walking through eucalyptus forests we ascend the Monte de Gozo where, from the top of the mountain we see Santiago de Compostela for the very first time. We enter the city and continue to follow the familiar yellow arrows that have guided us for many days until we see the cathedral before us. We go directly to collect our much deserved Compostela and the afternoon is yours to explore the many cobbled stone streets of this beautiful city. Tonight, we meet for our farewell dinner and our celebration of a journey you’ll remember, always! Departures from Santiago. Buen Camino!